Let me start by saying I’m exhausted this morning. My daughter caught a stomach bug, and the poor girl was up several times last night. Our whole family had managed to stay completely healthy through this winter season, but we didn’t quite make it to spring. Now I’m just hoping we won’t all catch it. My TBR Jar Challenge for this month is: Read a book that is not a novel. 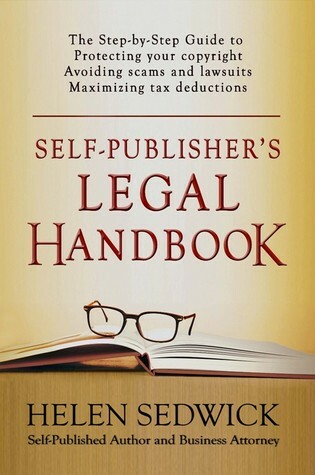 I’ve been reading the Self-Publisher’s Legal Handbook by Helen Sedwick. It’s a very imformative book, and I’m glad I picked it up. It’s definitely helping me with some areas I wasn’t sure of. It’s also set my mind at ease that I’ve made the right choices for me. If you’re self-publishing, I would highly recommend it. Right now you can read it for free if you’re a member of Kindle Unlimited. I’m not quite finished with it yet, but I already know it’s a five star book. On a completely different subject, Pippa’s cover reveal is tomorrow! Previous postPippa of Lauramore’s Cover Reveal on Friday!